Adjustable height of 35" to 49"
Office accessories in photos are not included. 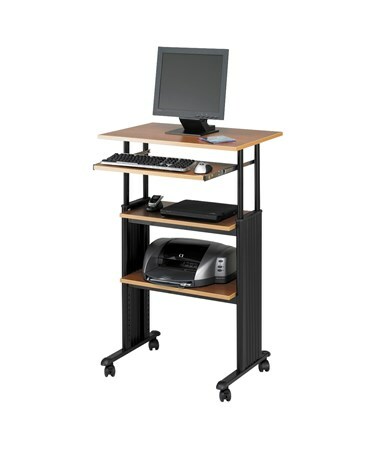 The Safco Muv Stand-Up Adjustable Height Computer Desk is a sturdy and versatile computer work station that promotes the health benefits of standing, such as improved posture. 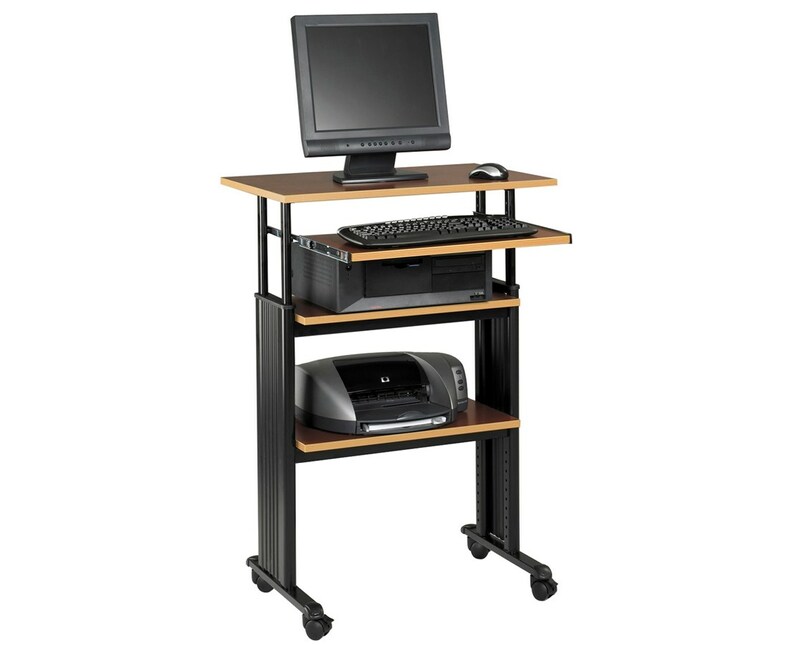 The top desk can be adjusted from 35 to 49 inches in height, while the keyboard shelf extends 9.75 inches and retracts under the work surface. Also featured is a cable management system and decorative molded side panels that keep computer cables hidden, and help present a clean appearance. 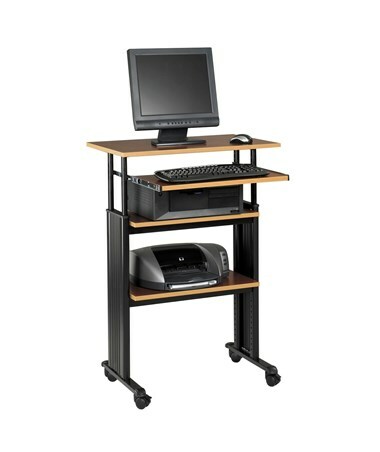 This standing computer workstation has a total of four shelves, including the upper desk with a capacity of 100 lbs, the keyboard shelf with 25 lbs capacity, and two other shelves that can be used for keeping other computer components. It also has four swivel casters and two of which have locking brakes. This mobile desk’s frame is made of steel with powder coat finish and the shelves are made of compressed wood with melamine laminate. 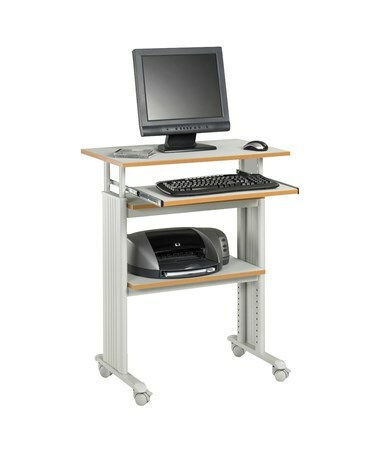 The Safco Muv Stand-Up Adjustable Height Computer Desk is available in three different colors. Please select your preference from the choices above. Work Surface Height 35" to 49"